1. Toast the cashew nuts in a frying pan until golden brown, but be careful not to let them burn. 2. 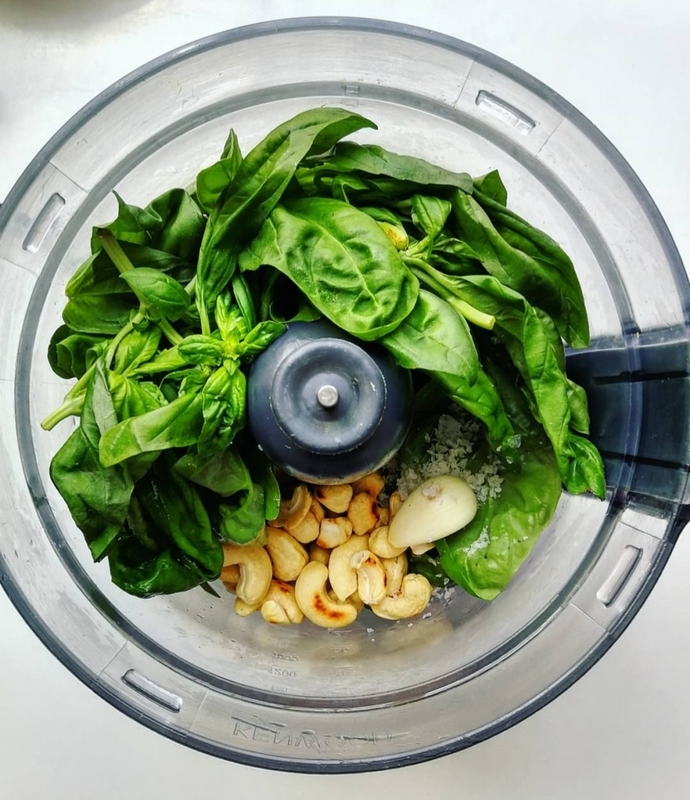 Allow the cashew nuts to cool then place all the ingredients into a food processor and blend for approximately 2 minutes or until the pesto becomes smooth and creamy (it is just as amazing if it’s still a little chunky). 3. 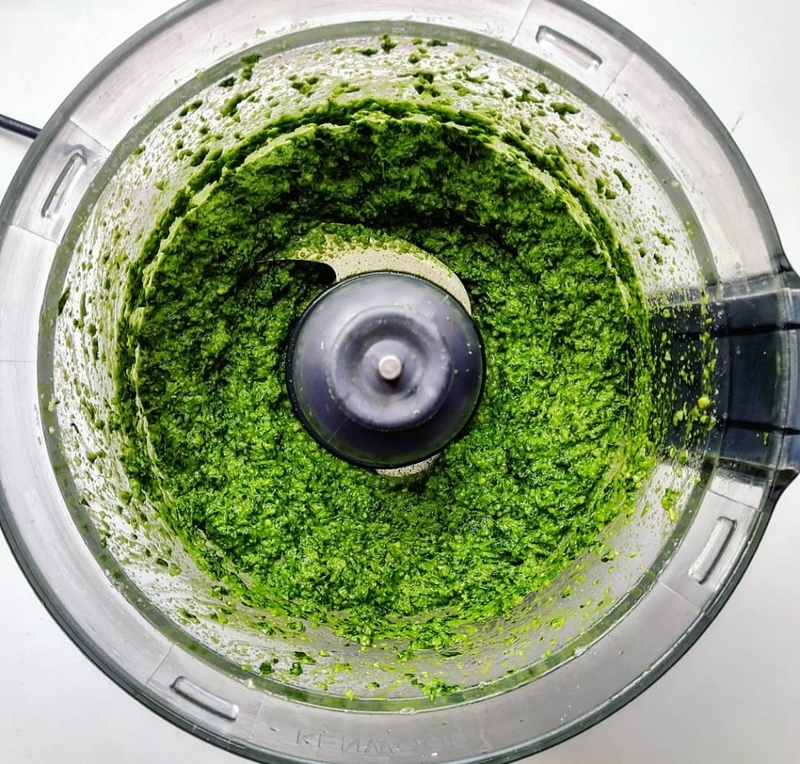 Place into a sterilized glass jar or airtight container and store in the fridge for up to 2 weeks.